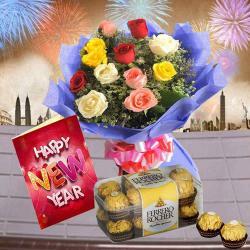 Product Consists : Bouquet of 12 Mix Roses with some green fillers in a cellophane wrapping with a matching bow, Branded Bottle of Wine along with New Year Greeting Card. (This product can not be delivered in Gujarat as it has been declared as 'Dry State'). 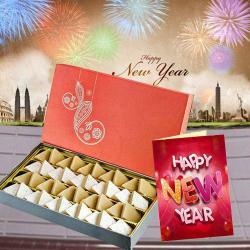 Give your loved ones a reason to celebrate New Year with ultimate fun by treating them to lavish gifts from Giftacrossindia.com. This is a classic gift hamper comprising of 12 enchanting mixed colored roses like pink, red, yellow and white that are exquisitely wrapped in a cellophane paper and a decorative ribbon. 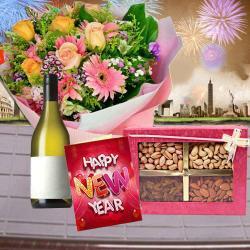 It also includes a branded wine bottle and a New Year greeting card. 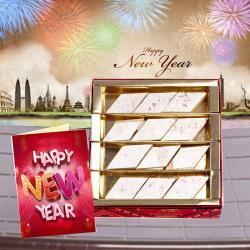 Gift this awesome hamper to your loved ones and make their New Year celebration a grand affair. 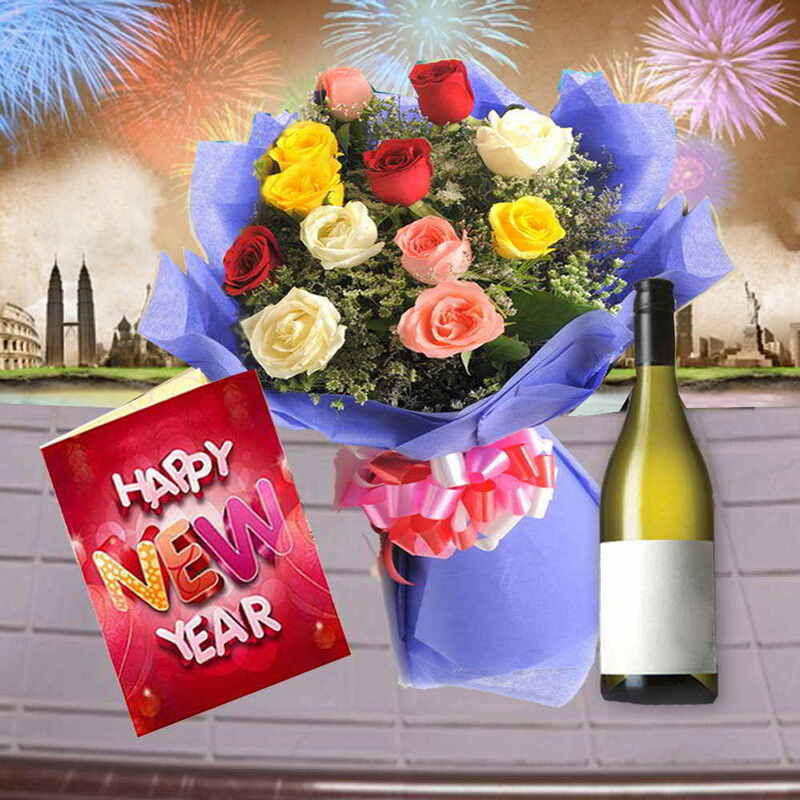 Product Consists : Bouquet of 12 Mix Roses with some green fillers in a cellophane wrapping with a matching bow, Branded Bottle of Wine along with New Year Greeting Card. (This product can not be delivered in Gujarat as it has been declared as 'Dry State').